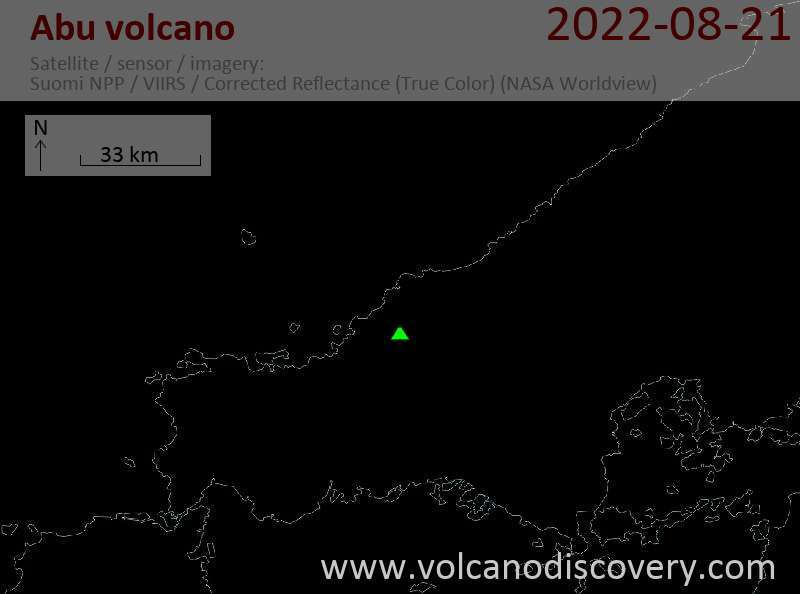 Abu volcano is a group of 56 smaller volcanic centers with no individual large central volcano, located near the Japan Sea coast in southwest Honshu, Japan, 80 km west of Hiroshima. The group, also known as the Abu Monogenetic Volcano Group (AMVG), covers 400 sq km and consists of basaltic-to-dacitic lava flows, small shield volcanoes (some with associated cinder cones) and lava domes. Its total volume is ca. 4 cubic km, with no individual center being larger than 0.5 km3. Irao-yama (641 m) is the highest peak. Some of the volcanic centers of Abu volcano form offshore islands or submarine vents. The most recent eruption at the volcano was a central vent explosion at Kasa-yama ca. 8000 years ago.